Does BarryM ship to the U.S? Your swatches of Barry M have me wanting almost every shade. That pink looks amazing! Verryy extreme but I bet it looks great with some glosses to mute it down. Yes they do! The rates aren't fantastic, so I always get a whole bunch of items to make it worth it LOL. 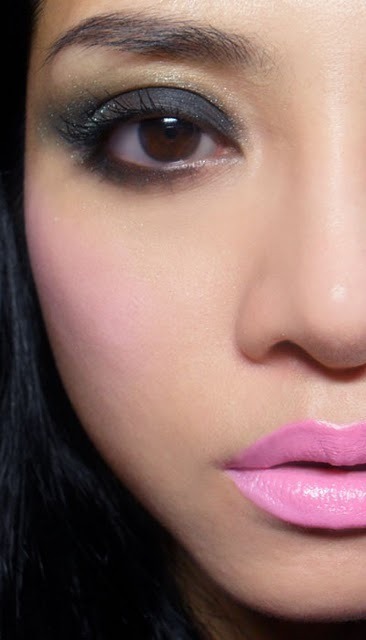 Baby Pink is really extreme, and you're right - I recommend a gloss to mute it a bit. Not recommended if your lips are very pigmented though, it might show up slightly streaky because it's so light that any imperfection and unevenness shows. This is handy for lightening any other pink lipstick and making it pastel though! I think the other Barry Ms (Dolly Pink, Vibrant Pink, Pink Ribbon) are a safer bet.